Zambia is famous for its national parks and the Victoria Falls. 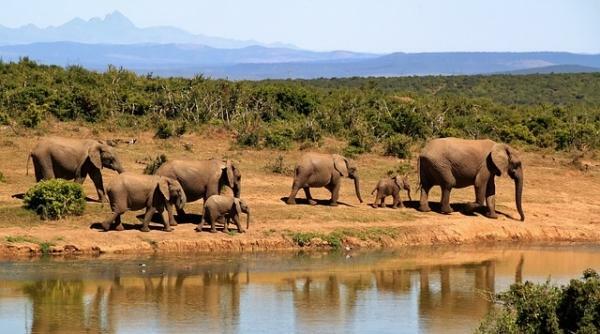 One of its most famous parks is the Luangwa National Park, which is divided into north and south sections. Of the two, South Luangwa is by far the more popular. This has largely to do with the fact that the north section of the park was closed to the public for a number of years, as a result it doesn’t have the infrastructure of the south section. The upshot is that the north is a dedicated wilderness area and visitors still have to seek special permission if they want to enter by themselves. Otherwise they have to book tours and safaris through recognised tour operators. Meanwhile, South Luangwa is in great demand. It’s much bigger than the north section (almost twice as big) and has many lodges, camp sites and chalets for visitors to stay over. The park (north and south) centres on the Luangwa River, which is where the bulk of the game is to be found. One of the most prolific animals in South Luangwa is the hippo. Park authorities estimate that there are 50 hippos for every kilometre of the river. You’ll see some almost as soon as you enter the park. There are, of course, also many crocodiles which do very well when all the animals come to the river to drink. The park is also home to some endemic subspecies, such as the Thornicroft giraffe and Crawshay’s zebra. Then there are the old game reserve standy-bys: eland, bushbuck, baboons, lions, impala, elephant, hyena, buffalo, kudu, wild dog, caracal, and some leopards if you look very carefully. What you won’t find are rhinos. They were poached to the point where they no longer exited in the park. They have since been reintroduced in North Luangwa but you still won’t see them in the south. There are over 400 bird species in the park, including yellow-billed storks, pelicans, marabou storks, Steppe eagles and Steppe buzzards (from Russia), bee-eaters, European swallows and red-chested cuckoos. The one thing that you have to try if you come all the way to Luangwa is go on a walking safari. Walking safaris are said to have originated here and they are the primary drawcard for many visitors to Zambia. Travel to Luangwa would not be complete without one. Other activities include bird safaris, photographic safaris, guided game drives and self-drives and night drives, which is when you’re most likely to spot leopards and other shy nocturnal creatures. June to October is usually the best time to go; this is the dry season and is the time when you’re most likely to see game. The wet season, between November and March, is not especially recommended and many lodges close during that time. 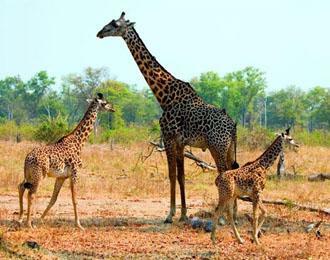 Sandy the author of the “Zambia’s Jewel: Luangwa National Park” writes for a number of different sites, including blogs on Zambia travel and other African adventures.